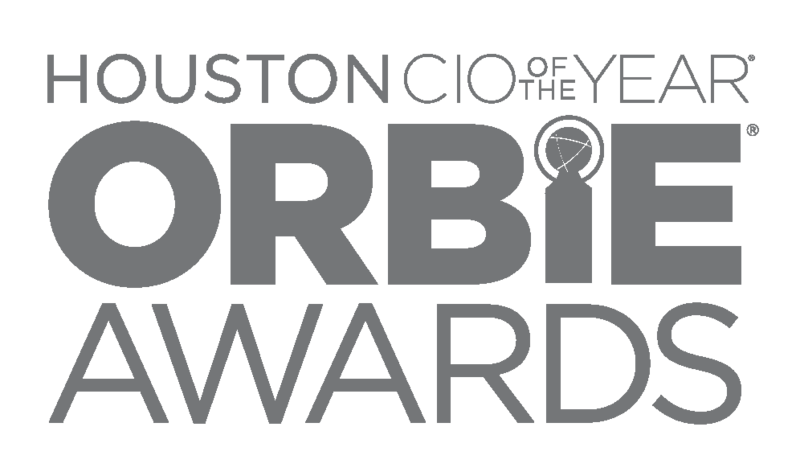 The Houston CIO Leadership Association (HoustonCIO) is now accepting nominations for outstanding chief information officers (CIOs) for the 2018 Houston CIO of the Year® ORBIE® Awards. The CIO ORBIE Awards is the premier technology executive recognition program of its kind. Since inception in 1998, this national program has honored over 500 chief information officers as finalists and recognized over 100 CIO of the Year winners with the prestigious ORBIE Award. The ORBIE honors CIOs who have demonstrated excellence in technology leadership. Anyone may nominate a deserving Houston chief information officer. To qualify, the nominee must be a member of top management, primarily responsible for the IT operations of a Houston-based organization or subsidiary and have been in their role for at least one year. All nominees will be recognized at a reception hosted by HoustonCIO on January 31st. Finalists are named in Global, Enterprise, Corporate and Nonprofit categories, based upon size and scope of responsibilities. Judging is conducted through an independent peer review process, led by prior ORBIE recipients, based upon demonstrated leadership and management effectiveness, value created by technology innovation, and engagement in industry and community endeavors. Winners will be announced at the 2018 Houston CIO of the Year ORBIE Awards breakfast at the Marriott Marquis on March 22, 2018 and on http://www.houstoncio.org. For sponsor information, please contact Bradley Hudson (bradleyh@inspirecio.com) at 770-596-2403. For nomination questions, please contact Cameron Tapley (cameront@inspirecio.com) at 404-281-8290. The Houston CIO Leadership Association (HoustonCIO) is the preeminent professional association for Houston chief information officers. Our membership is comprised exclusively of CIOs (or equivalent executive roles) from public and private companies, government, education, healthcare and nonprofit organizations.